AdvantEdge will be exhibiting September 20 – September 21 with a presentation from Vice President, Kevin McDonald, on the 21st. WARREN, N.J., Spetember 20, 2017 — AdvantEdge Healthcare Solutions (AdvantEdge), a leading medical billing company advancing revenue cycle management for physician groups, hospitals, surgery centers, and behavioral health agencies, announced today that Senior Vice President Kevin McDonald will host a breakout session presentation Thursday, September 21 from 10:45 – 11:45 A.M. at the Ohio Association of Ambulatory Surgery Centers (OAASC) 2017 Annual Conference and Infection Prevention Seminar at the Hilton Polaris in Columbus, OH. While there are approximately 5,600 Medicare-certified ASCs across the United States, there has been very little growth in the market in recent years. Recent changes to reimbursement, federal health care policy reforms, as well as federal, state and local regulations, have resulted in rising out-of-pocket care costs, declines in ASC-specific payments, and other challenges for ASC consumers and providers. In an industry that continues to shift toward consumerism and value-based payments, staying up to date with trends, policy changes, and understanding complex payer requirements are key components to an ASC’s success. Employing effective revenue cycle management that implements strategies to guarantee payment, reimbursement, and steady cash-flow will ensure the ASCs’ success and profitability, and that it can prevail amidst an ever-fluctuating landscape. In his presentation Optimal Billing Workflows in an Age of Uncertain Reimbursement & Policy, Mr. McDonald will provide an overview of the current climate, changes in the ASC market, and the resulting revenue cycle management challenges ASCs are now facing. He will discuss the often daunting task of collecting payment from patients at the time of service and what steps ASCs can take to implement safeguards and maximize collections. The 2017 OAASC conference will take place on September 19 – 21, 2017. AdvantEdge will be exhibiting Wednesday, September 20th – Thursday, September 21st. Mr. McDonald’s presentation, Optimal Billing Workflows in an Age of Uncertain Reimbursement & Policy, is scheduled for Thursday, September 21, during Breakout Session 6C from 10:45 A.M. – 11:45 A.M.
Kevin McDonald leads the sales and marketing team and works with physician groups, hospitals, and ASCs to show how AdvantEdge services can help their organization be more successful by getting more money faster and increasing their bottom line. Mr. McDonald has over 25 years of successful sales, marketing and consulting experience in the revenue cycle and healthcare industry, working with physicians and hospitals and over a decade of experience working with ASCs specifically. 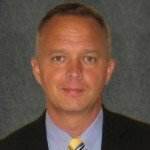 Before joining the AdvantEdge team, Mr. McDonald was the Senior Vice President of Sales and Marketing at Source Medical, where he also served as VP of Account Management and SVP of Revenue Cycle Sales, while working to move a company from negative cash flow to a successful private equity acquisition. He is a published industry author and frequent speaker on the topics of EHR, Technology, ICD-10, SAAS, business intelligence and Revenue Cycle Management. Throughout his career and personal life, Mr. McDonald has served on multiple boards and currently serves on the board of directors with Florida Citrus Sports (Capital One and Russell Athletic Bowls) Orlando, a not-for-profit membership organization dedicated to increasing community spirit and pride, promoting tourism, stimulating economic development and ultimately benefiting charities, educational institutions and the quality of life in Central Florida through its signature events.